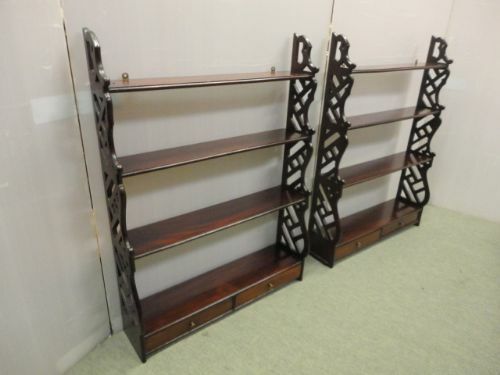 The Victorian wall shelves with 4 graduated shelves & 2 dovetailed drawers , decorative open sides , good size , good colour , brass drops to drawers , brass butterflies for wall fixing. 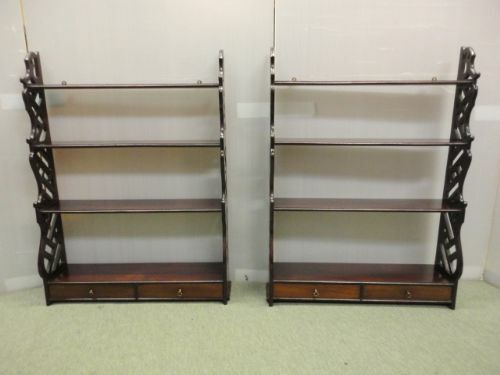 Really smart pair of wall shelves. 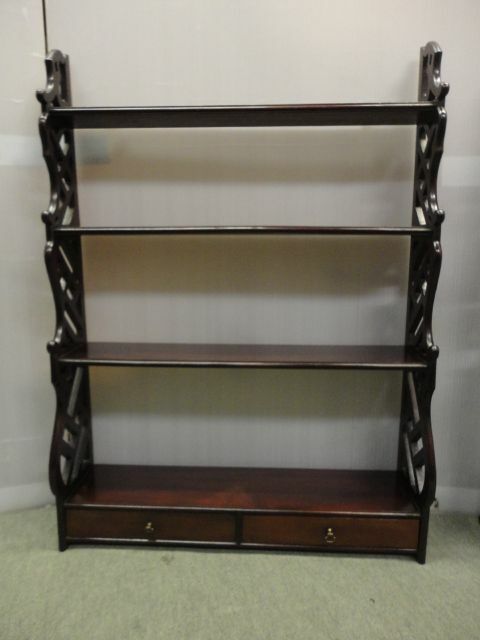 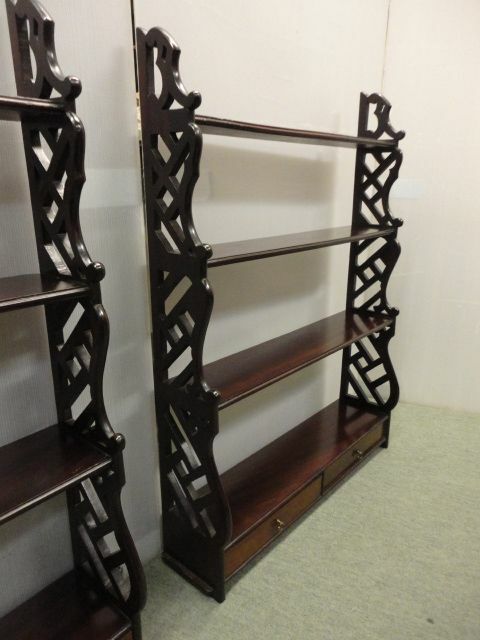 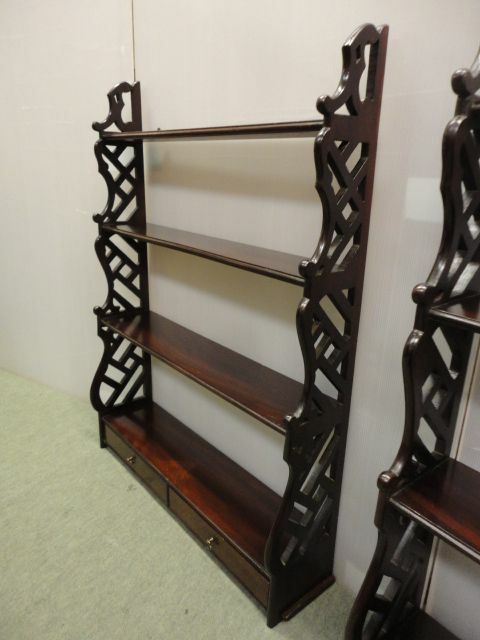 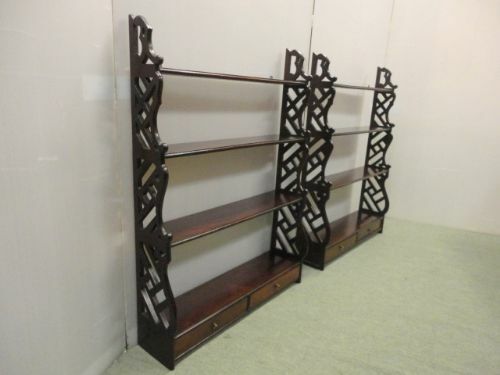 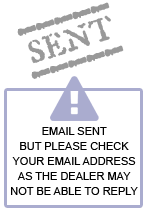 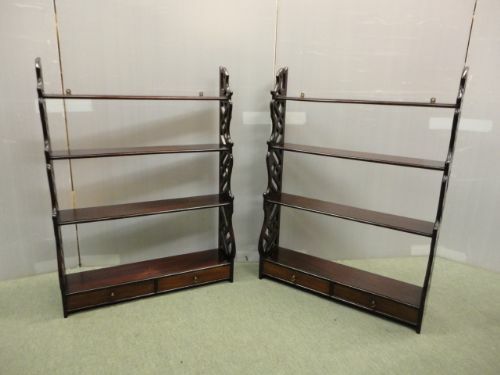 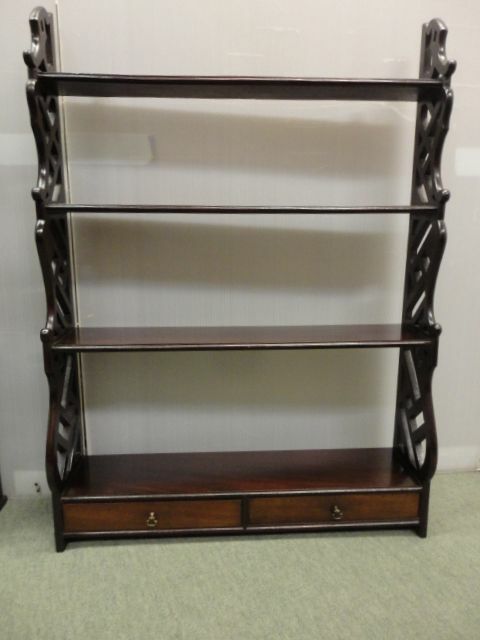 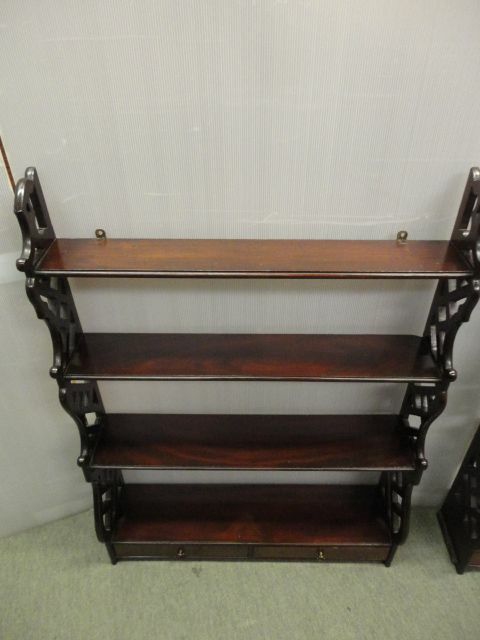 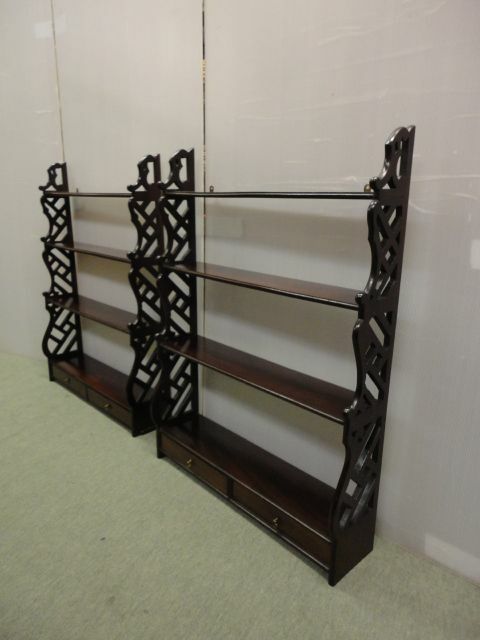 The Pair Of Mahogany wall Displays has been added to your saved items.